This event is the kickoff for Dining Team Green's National Farmworker Awareness Week. 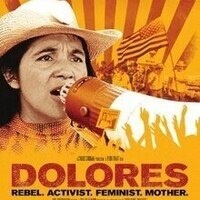 UR Cinema Group will be co-sponsoring the screening of the 2017 film, Dolores. This feature film documents the life and work of Dolores Huerta, a farmworker, mother, and activist, and co-founder of the first farmworker union in the country.